Calling all Mums and Dads! Bring your little ones to McDonald’s to join Scrat and his friends on their greatest adventure in Ice Age Continental Drift. 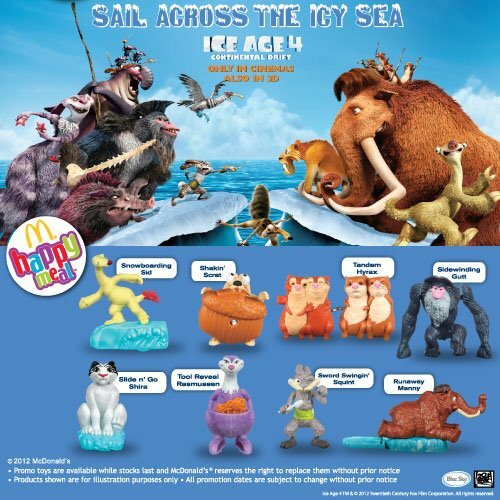 Get the Happy Meal Ice Age 4 toys free with every McDonald’s Happy Meal purchase, starting tomorrow 4th July 2012. Check out review + close-up pictures of McDonald's Happy Meal Ice Age 4 toys @ McdHappyMealToys.blogspot.com!